1. WISTA is the Women´s International Shipping and Trading Association. 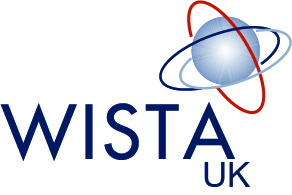 WISTA UK started in 1974 and we have been a group of women growing constantly and networking to help us with contacts that will facilitate our day to day professional career and help our companies. 2. WISTA International is the umbrella organisation and most of the WISTA national organisations have the same goals and common vision and mission; however some countries are more active than others due to the numbers of members they have affiliated. 3. WISTA offers the knowledge, experience and contacts of 2,100+ members worldwide, this numbers multiplies to “n” as everyone have a large database with contacts and business partners, you can be part of this network process. 4. WISTA members travel intensively all the year. They benefit extensively with the Local Knowledge our members can offer. Do you need a hotel, to meet with someone in particular, how can you find out about a particular need of your company? Ask your local WISTA or go to the WISTA book in our website www.wista.net and we will be able to help you and put you in contact so you can solve your problem. 5. WISTA is always organising meetings, lectures, gatherings worldwide through their local National WISTA associations. 6. WISTA is a non-profit organisation, members pay around USD 100 a year for membership (depending which country they belong to). We fund the international association and any ongoing programme; however, local business could benefit of our organisation, regardless their size, by becoming sponsors. Their contribution can help to fund a newsletter, monthly meetings, and become involved with programmes that will benefit any Corporate Social Responsibility scheme. Talk to us and benefit of our knowledge and global position. 7. WISTA organises an annual conference, and your company can become globally known by becoming a sponsor of the conference where over 200 members can spread your message. 8. WISTA Personality of the Year is the best way to recognise an individual in your country of company. Put someone forward through your national WISTA and make history! 9. The UK is where everything started 42 years ago. WISTA today has spread to over 35 countries. The whole industry knows about WISTA thanks to the press and the individual work of all our members.